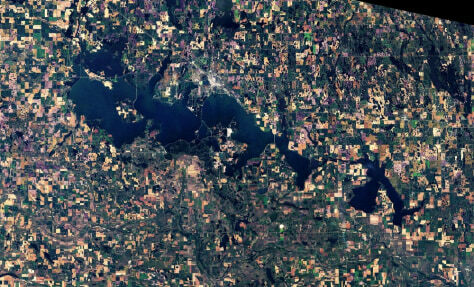 An aerial view of the surface elevation of Devils Lake, N.D. The lake, about 160 miles northwest of Fargo, is the largest freshwater body in North Dakota. Since the water began rising in the early 1990s, more than 400 homes around the lake have been relocated or destroyed.